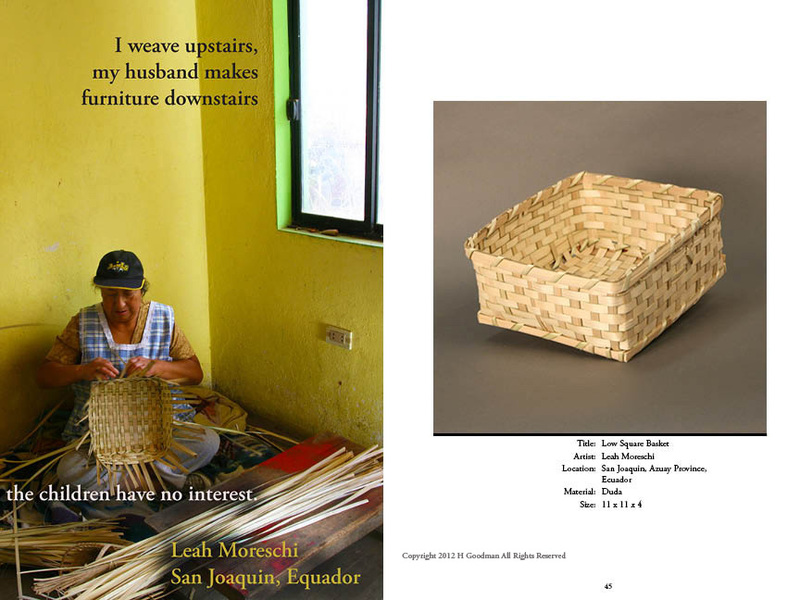 Interwoven: Rural Traditions, Modern Ties – Baskets from Appalachia and the Andes. 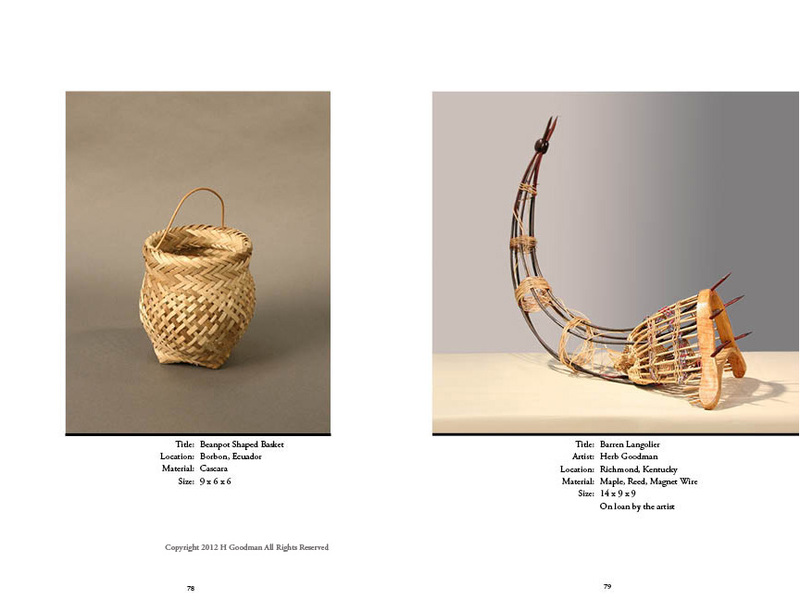 Selected images of the show & book. The U.S. Embassy in Quito approached the Kentucky-Ecuador Partners for assistance with their "Rural America" programming. 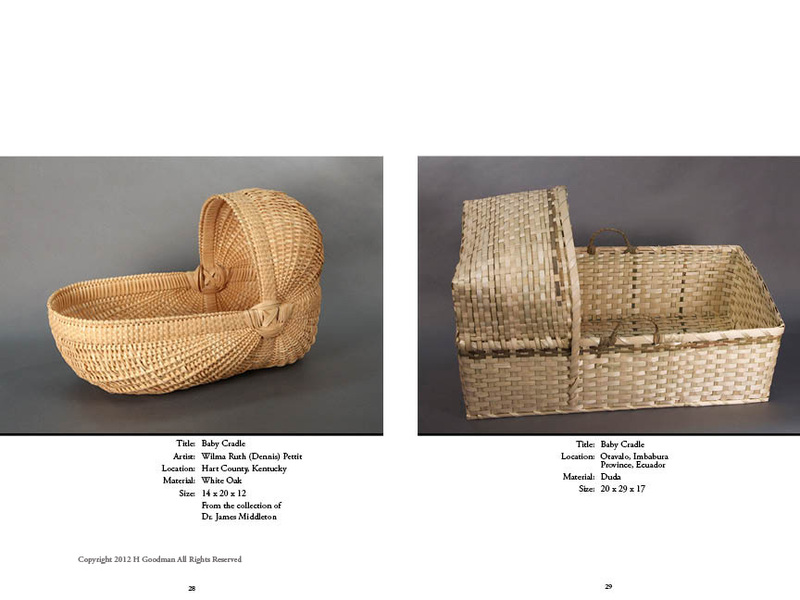 KEP has a long track record of exhibits and exchanges highlighting our partnership's cultural traditions. 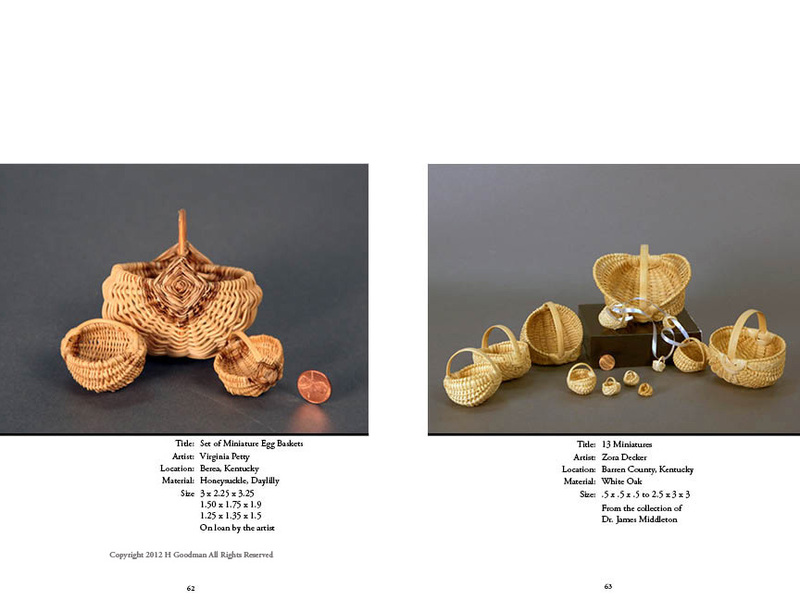 Herb Goodman was selected to become director of the project based on his experience & knowledge of weaving & Appalachian craft. 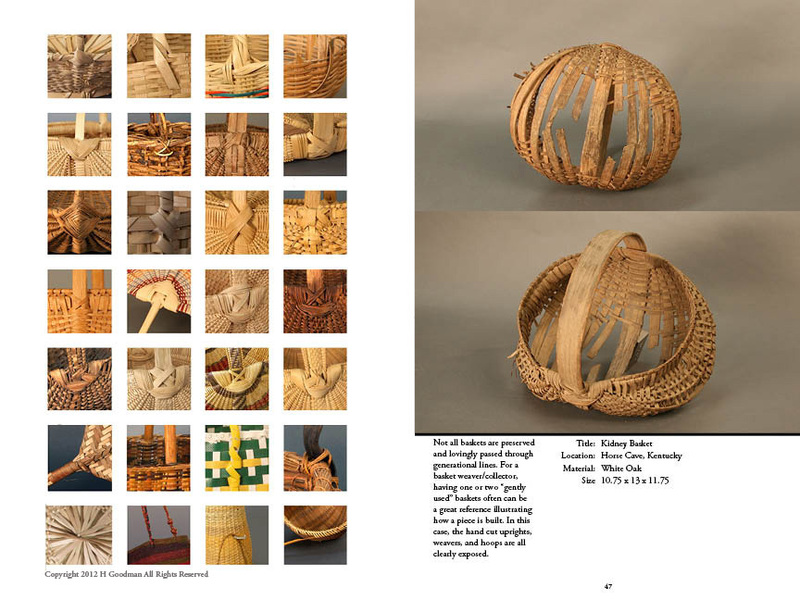 Herb traveled to Ecuador & throughout Appalachia in 2012 to collect baskets for this international exhibit. 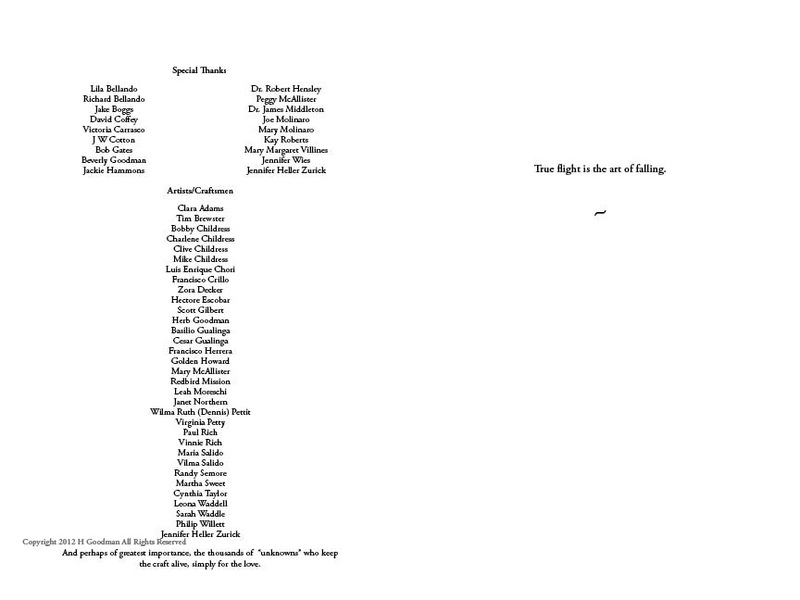 He also photographed & designed the accompanying book/catalog. 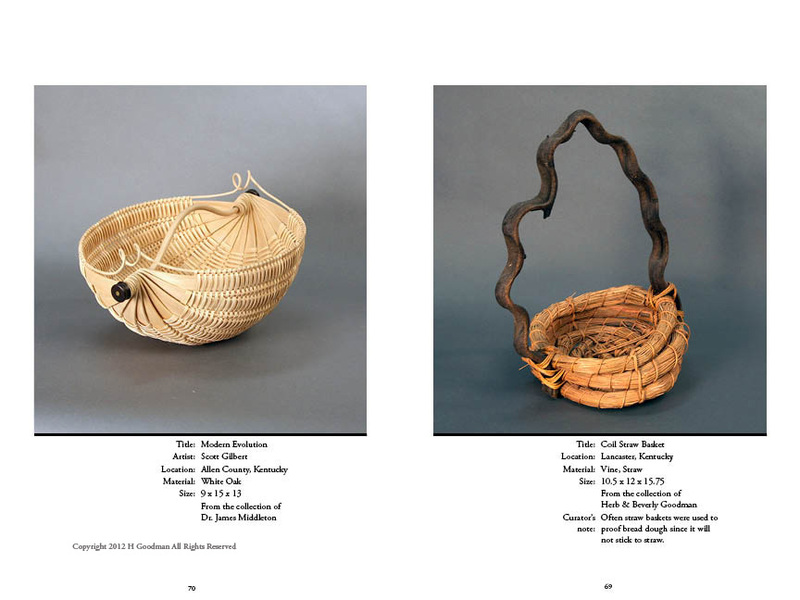 Exhibit Dates: Nov. 3-Jan. 27. 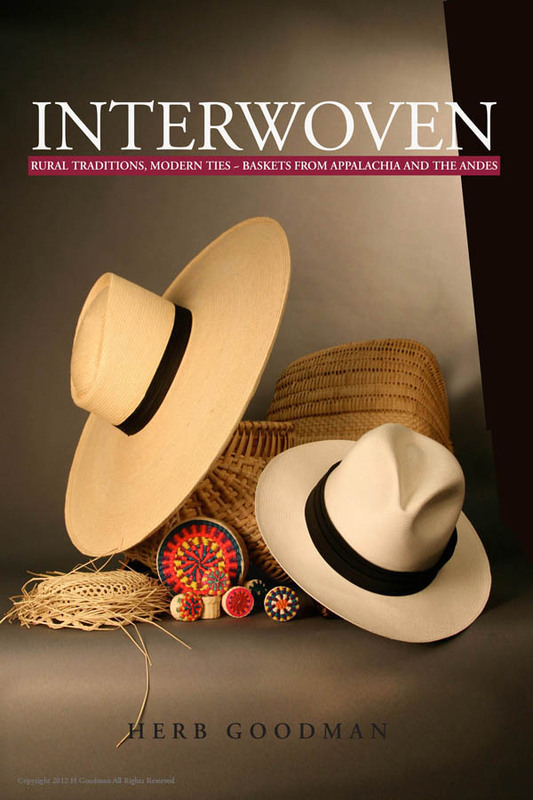 "Interwoven: Rural Traditions, Modern Ties – Baskets from Appalachia and the Andes" showcased more than 100 pieces of basketry from Ecuador and Appalachia. 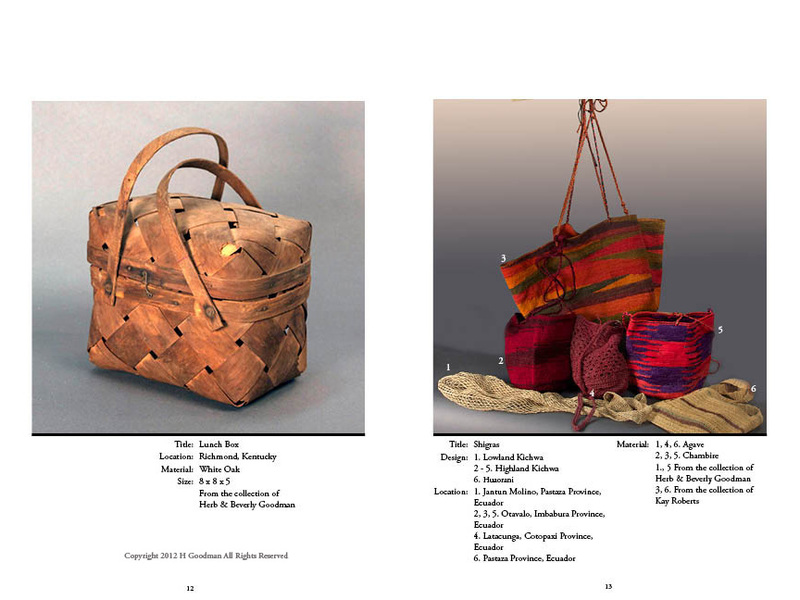 The Ecuadorian work ranges from baskets made by Huaorani aboriginals to modern pieces collected in major cities. 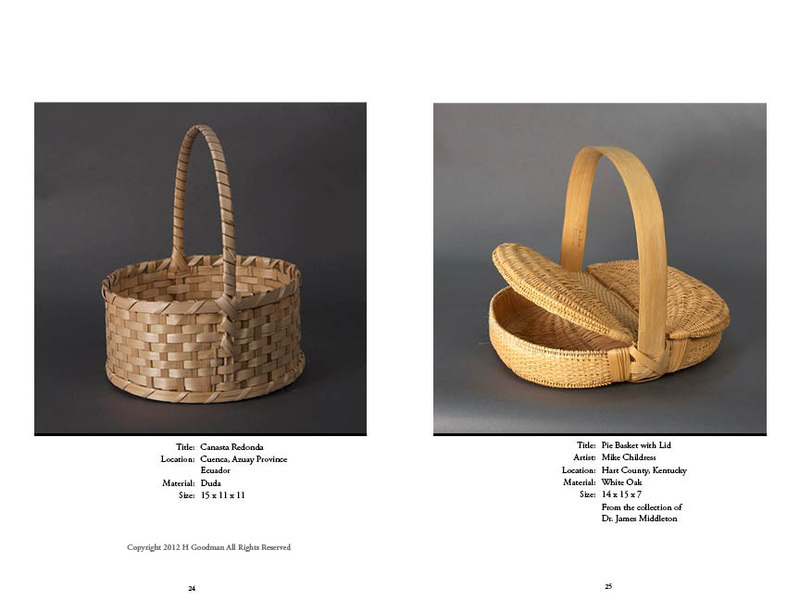 The Appalachian works spanned white oak baskets to modern contemporary craft. "It is surprising how many similarities our people have," he said. "Beyond topography, we find strong, independent people who largely define themselves through their art, craft, music and oral traditions. Often, these simple objects are passed through generations and become part of the story of their family. "Producing this exhibit truly has been a labor of love," Goodman added. 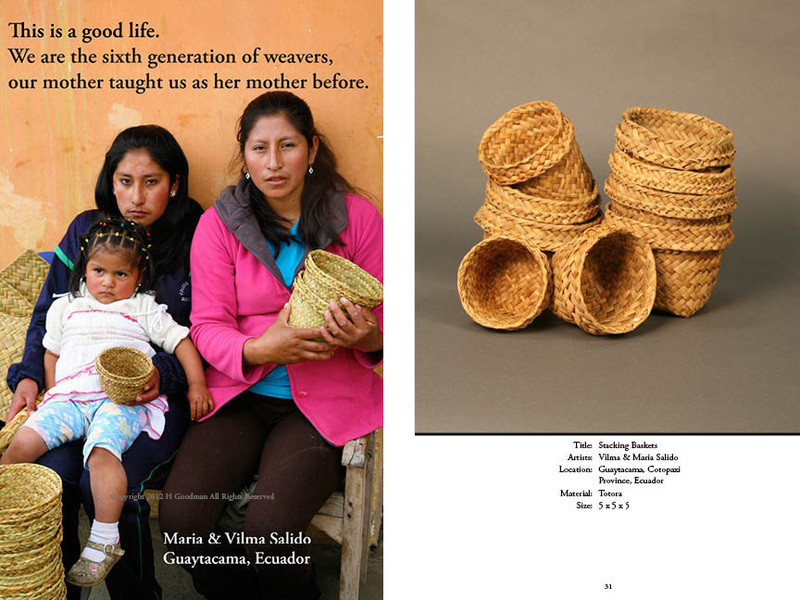 "Whether it's Appalachia or the Andes, every part is beautiful, and every person has been generous in sharing their family heirlooms. 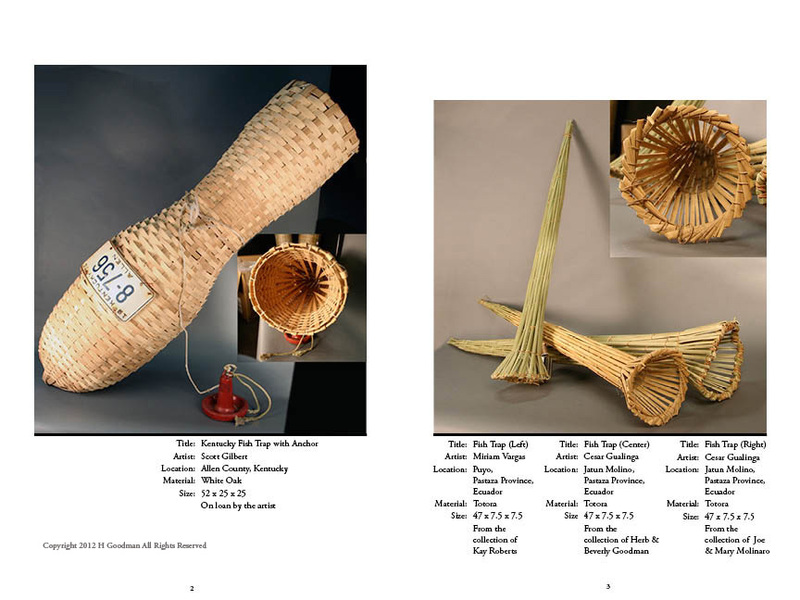 The pieces ranged from completely functional objects, such as tobacco baskets and fish traps to purely esthetic woven sculptures." 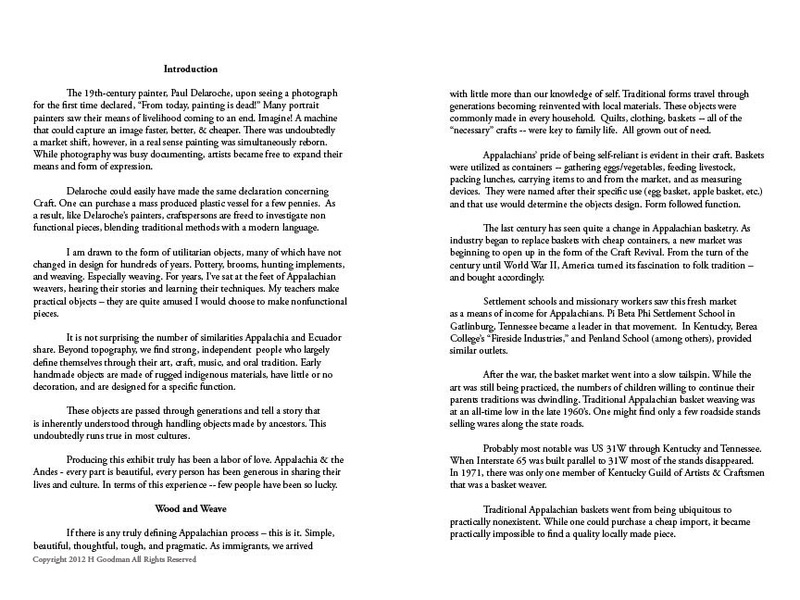 The project was supported by the Embajada de los Estados Unidos Quito, Ecuador; Kentucky/Ecuador Partners; U.S. Department of State; Kentucky Arts Council; the Lexington Public Library; and EKU. A similar show was scheduled to open in the Spring at Centro Culural Itchimbia in Quito, Ecuador. 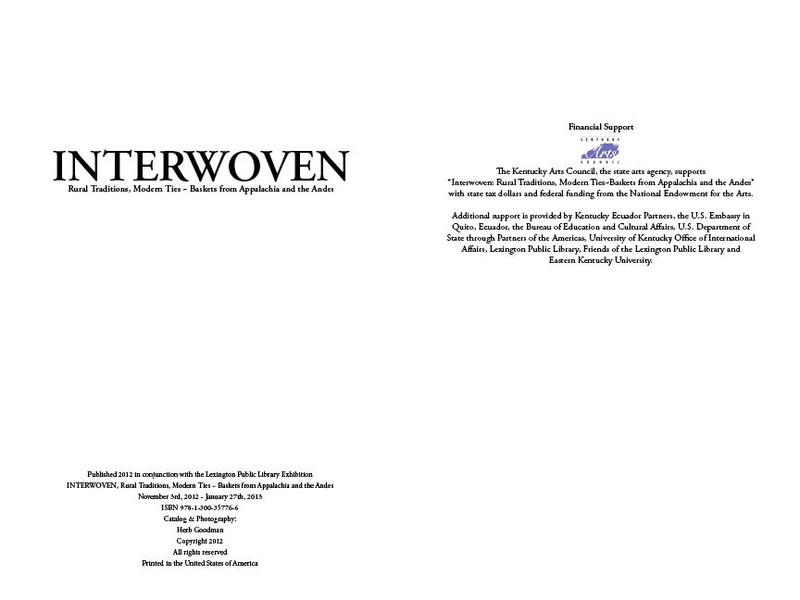 The exhibit features the work of "some of the best weavers from both sides of the equator," Goodman said, citing Leona Waddell, Hectore Escobar, Cynthia Taylor, Scott Gilbert, Jennifer Heller Zurick and Golden Howard. "There are so many talented artisans that many great ones are left out. Honestly, this show could easily have filled this gallery space ten times over and still been wanting for space."